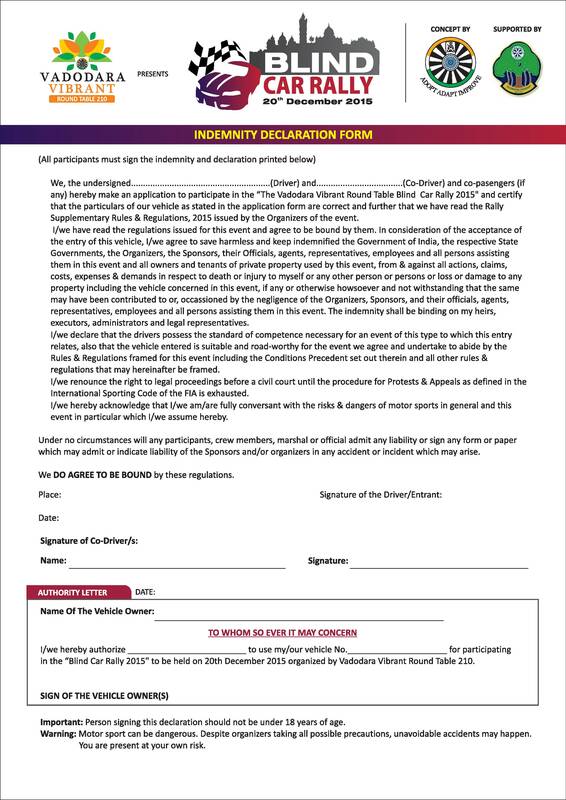 NOTE: Plz carry Copy of Driving License, Car Insurance, Registration paper at the venue before the event. navigator with a Braille route chart. 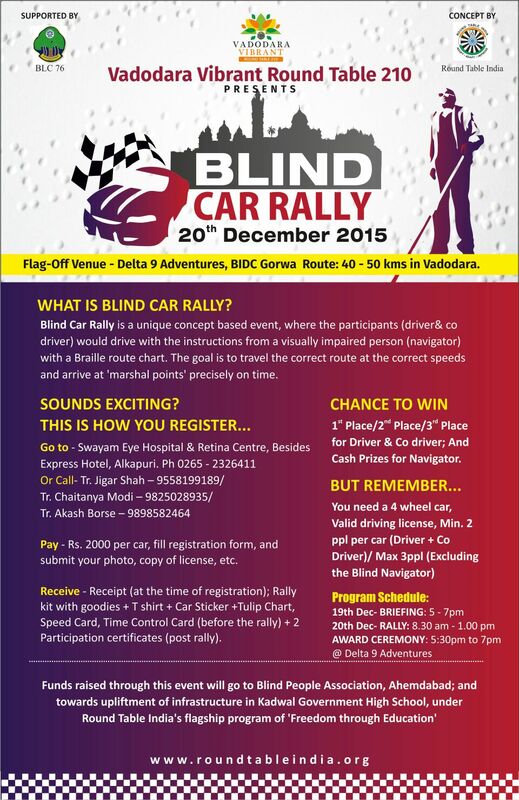 initiative by contributing INR 2,000/- per car participation in Rally.